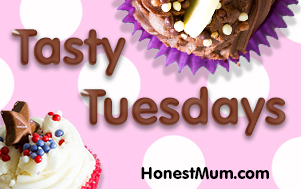 Last week was my first Festive Food Friday link up. It was fantastic to see loads of festive posts, even though Christmas is still a while away. I’ve also added a video to that post, of how to ice my Spiced Chocolate Layer cake, so pop back and have a look if you’d like a peek at my piping. Fancy joining in and have your posts shared with the 60,000 people that follow the Festive Food Friday Pinterest board? Read on to the end of this post..
From last weeks linky, I loved Julie’s Cranberry & Pistachio Cookies, Kerry’s super simple Christmas Bark, Claire’s pizza snowmen (although there’s so many good ideas in that post!) and Sian’s White Chocolate Cranberry Cookies. Here’s my festive food for this week.. Festive Spiced Lamb Tagine. Now, I know this doesn’t make a lot of sense, but somehow Moroccan food always has a festive flavour to me. The warming, aromatic spices seem perfect for this time of year. During December life gets so busy with my frantic need to see everyone I know and love, feed them cake and drink mulled wine with them. This year, I’m trying to avoid my little poor family ending up living off mince pies in the run up to Christmas (although there are worse things to live off surely?) by stocking the freezer with this little gem. In this tagine I’ve used a spice mix from Steenbergs Organic called Koekkruiden. It’s actually a Dutch baking mixture made of cinnamon, ginger, clove and cardamom. It adds a rich, festive depth and sweetness to this tagine. If you can’t get hold of it, just replace it with cinnamon and mixed spice. This is a delicious evening tagine meal with Christmas spices and melt in the mouth lamb. Dry your meat using kitchen paper. In a large saucepan, over a very high heat, brown the meat in a little of the oil. Brown small batches at a time so the pan isn't over crowded. Remove from the pan and set aside. Use a little water to de-glaze the pan if the meat starts to stick. Add any remaining oil and fry the onions, garlic, ginger, cumin and Koekkruiden if using (or cinnamon and mixed spice). Fry for 5 - 10 minutes until well softened and dark in colour. Meanwhile, add your saffron to your hot stock in a jug. Add the meat back to the pan, along with the onion mixture, stock, saffron and chopped tomatoes. Simmer over a very low heat, with the lid on for about 2.5 hours. The meat should be very soft. Add in the butternut squash and drained, rinsed chickpeas. Cook for a further 30 minutes. When cold, pack into plastic containers, label and freeze. 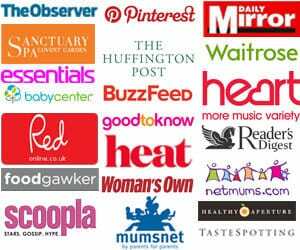 I will pin all of the posts added to my Pinterest board, which has over 60,000 followers. 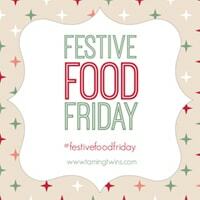 Ooh the tagine looks delicious, as do all the entries for festive friday last week! Thanks for hosting Sarah! Thanks for hosting and including my Pizza Snowmen in the roundup. Can’t wait to see your version. Love the sound of your Spiced Lamb Tagine. I often do a similar one at Christmas. Lovely tagine! Looks beautifully thick and rich…… Yum! This sounds delicious, especially with all the spices. My husband loves lamb dishes, but I don’t make them often enough. Definitely giving this a try. I love Moroccan food – I;m with you on the ‘festive flavours’ there. Great linky, too. Hope to join in. Golly – if I wasn’t in the festive mood before, I certainly am now. What a fantastic festive idea. This looks delicious and a great one for when everyones frantic! Do you think I could do it in the slow cooker too?